The best years of Sunbeam were in their early history. They built up a tremendous reputation for quality and finish and this was to lead eventually to the downfall of the firm. 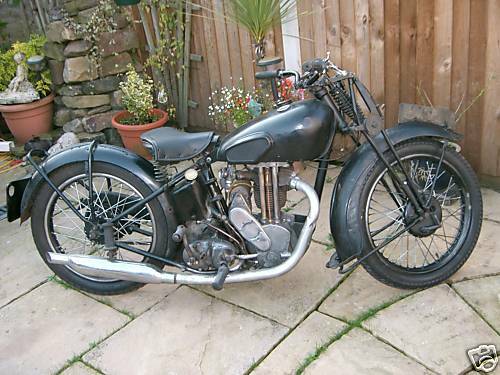 By 1928 Sunbeam had become part of the ICI combine but did not add very much to group profits so in came the accountants and much of the tradition had to go. More parts were bought in and slowly some of the quality began to evaporate. 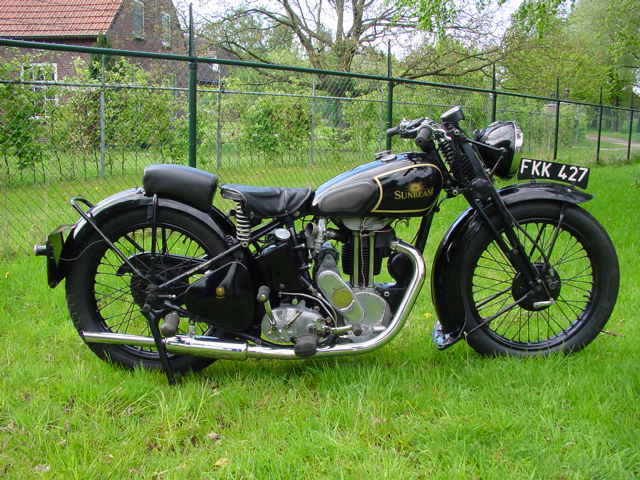 However, the Model 90 of 493cc was still based on the 1929 TT winning machine and had an enthusiastic following and was superseded in 1933 by the model 95. 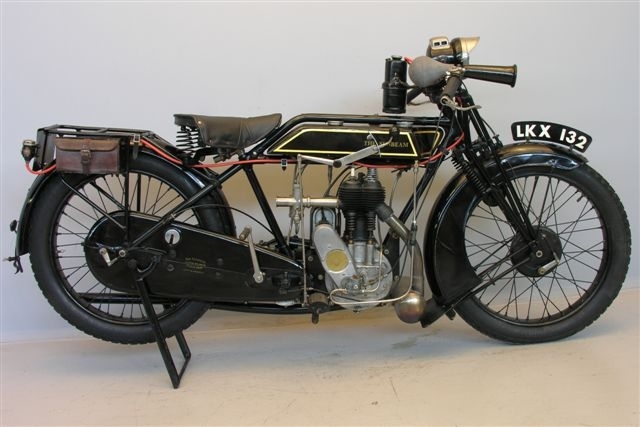 This was to racing specification and not of much use as a roadster but it was revised in 1935 to provide the 95R racing model and the 95L (for lightning) sports machine. 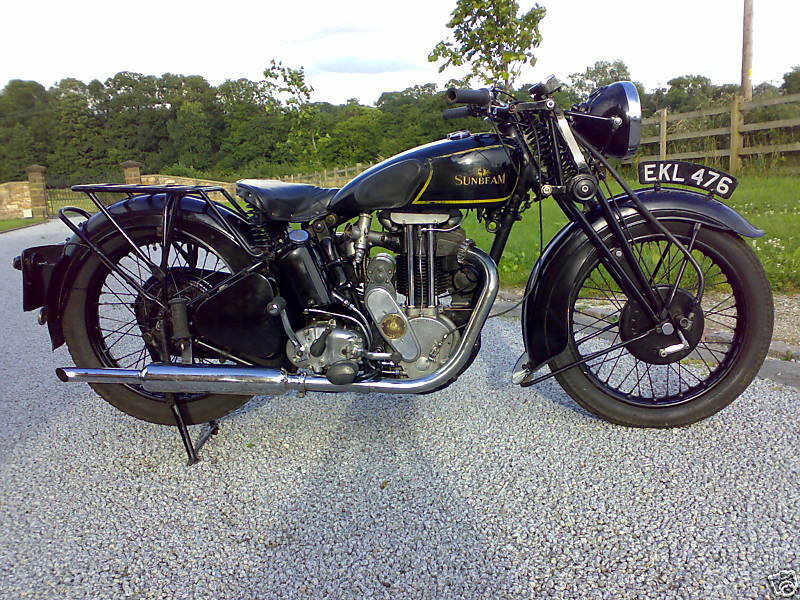 The range was still providing too much value for money to suit ICI and in 1937 the business was sold to the AJS/Matchless combine ti form Associated Motor Cycles. 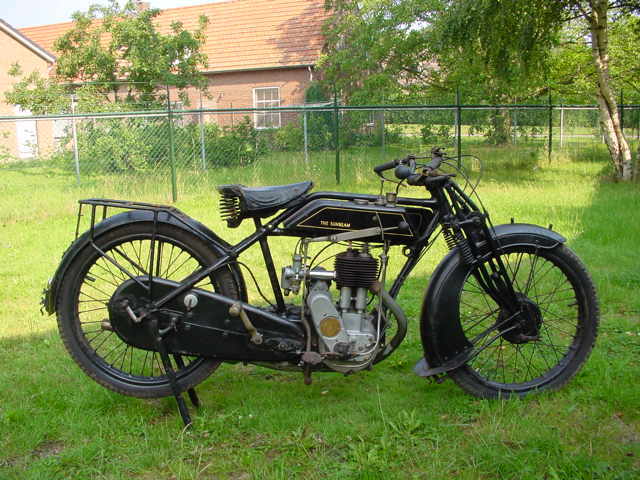 1919 Simplex Power Unit 104cc. 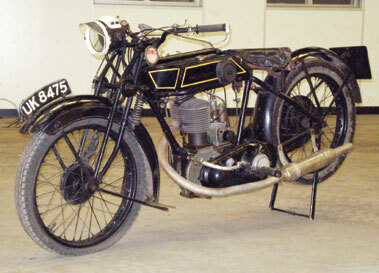 1922 Sunbeam 350 cc Model 1, Flat Tanker, side-valve. 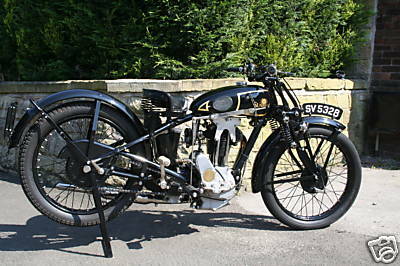 The long stroke Sunbeam side valve single was a stalwart of the range from the early twenties for nearly twenty years. 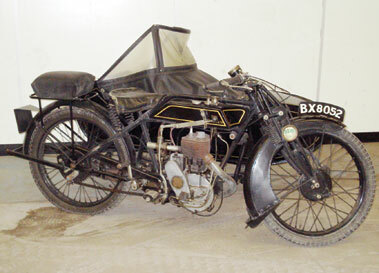 Endowed with great stamina, Sunbeam's exemplary finish and the unique "oil bath" chaincase it proved popular with tourists and sidecarists alike. 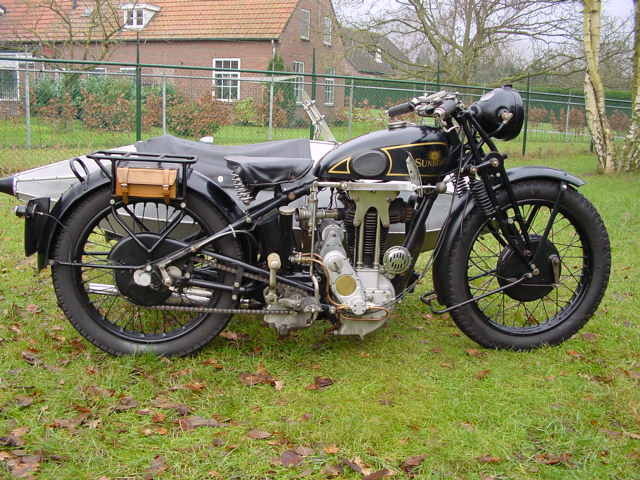 1927 Sunbeam 5, 500cc The model presented here is equipped with fully enclosed front and rear chaincases. 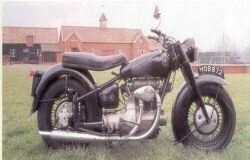 The engine character can be described as "giving an explosion at every lamp post". A perfect touring machine, suitable for the odd high speed stretch. 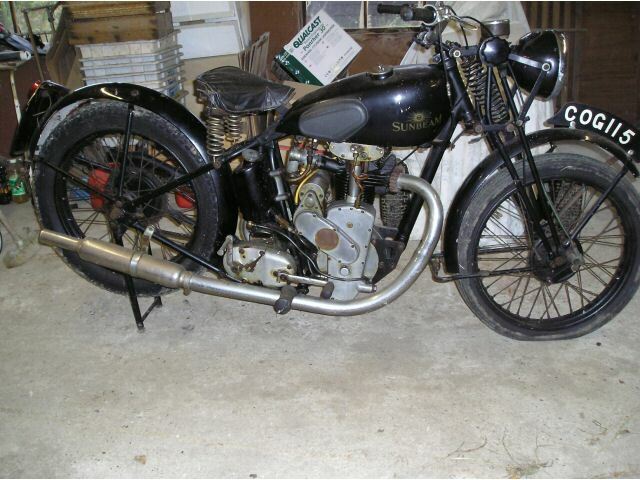 1928 Sunbeam 350 Side Valve Model, the last model of the flat tankers. 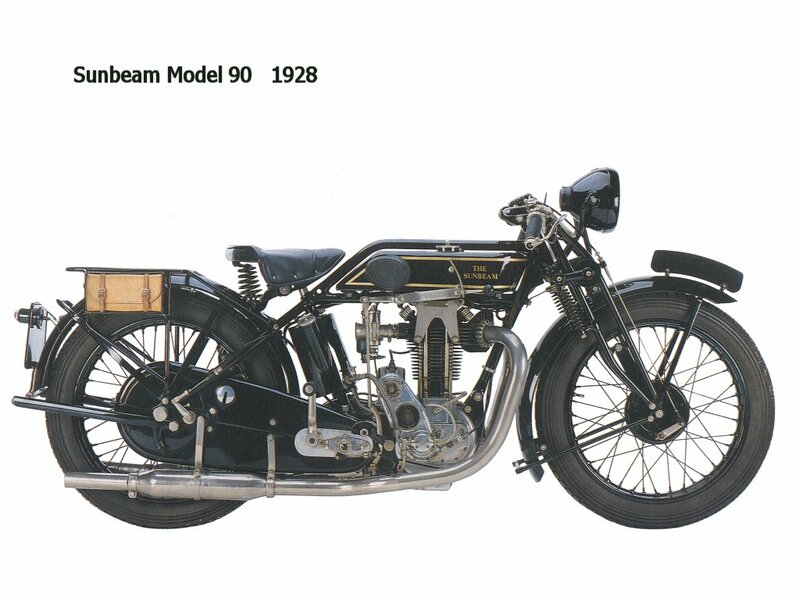 1928 Sunbeam Model 90 More Sunbeam Model 90 information. 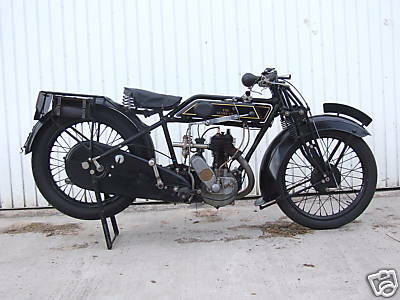 1928 Sunbeam M90 Racer, 500cc Developed from the competition mount campaigned notably by renowned speed man George Dance, Sunbeam's range topping model Model 90 was a high quality motorcycle aimed at the gentleman speed merchant. 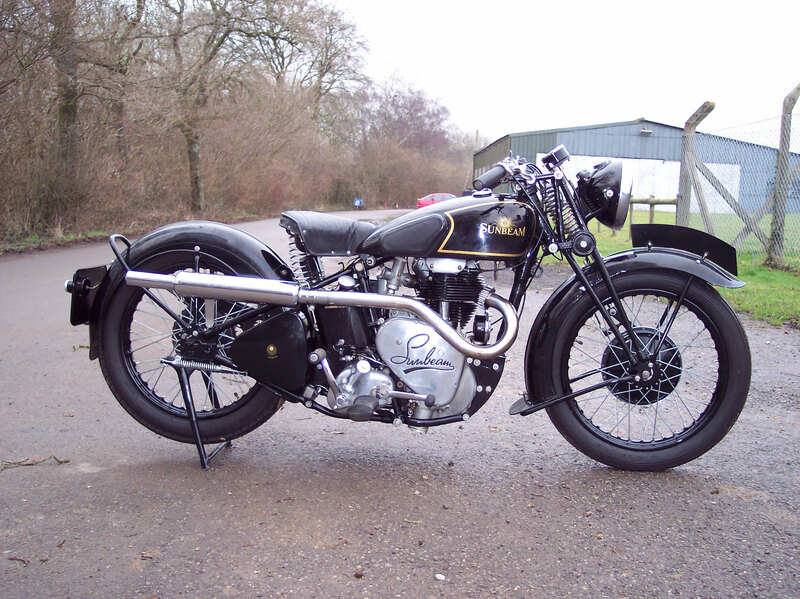 It was good enough to be a frontrunner in top level racing, with Charlie Dodson winning the 1928 and 1929 Senior TTs, though the latter win was on the updated 'saddle tank' version. 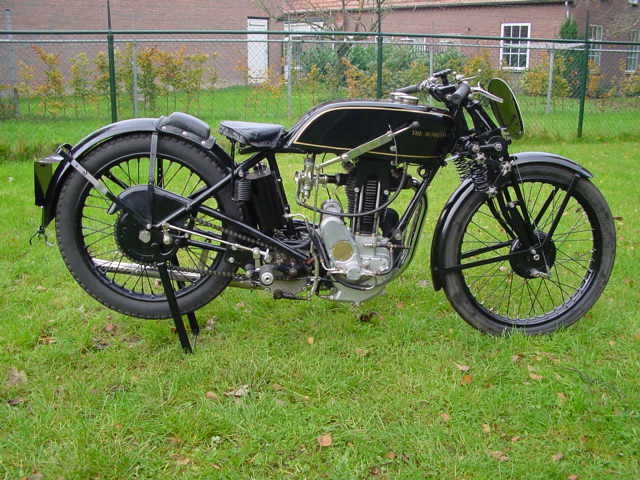 1928 Sunbeam Longstroke, 500cc Sunbeam motorcycles gained fame for their very high standards of workmanship, their speed and their reliability: races all over Europe were won in the early half of the twenties with machines equipped with the very fast and reliable Longstroke side valve engine with bore/stroke of 77x 105.5 mm. 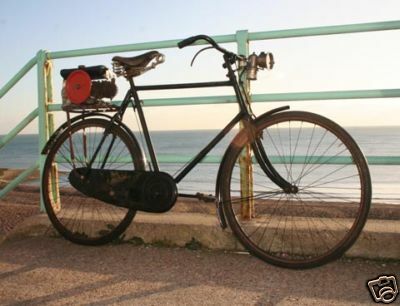 This Light Tourist is equipped with a Longstroke engine and also has the characteristic fully enclosed rear chain. Front mudguard is non-original. 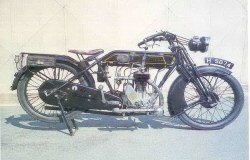 The "longstroke" Sunbeam was offered in two versions during the twenties, the touring Model 5 and the sporting Model 6 and would remain a feature of the firms range from 1922 until 1940. During that time it earnt an enviable reputation for its reliability and stamina. 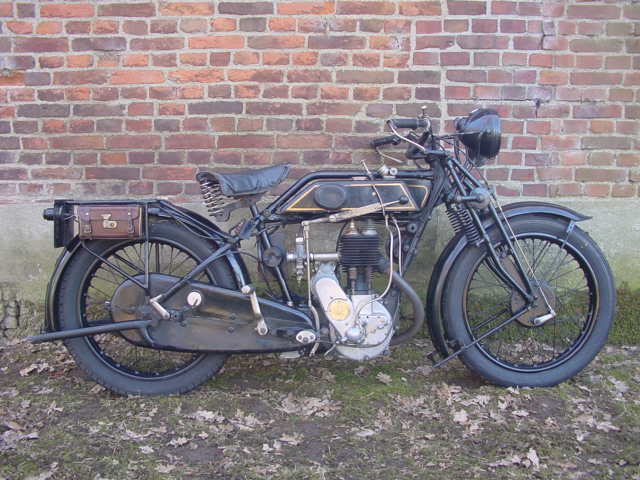 This particular example was first registered on the 21st March 1930 although it had been built during 1928. It came into Wolverhampton engineer Walter Edge ownership during the late 1950's who undertook its restoration. Mr Edge, a lifelong motorcycle enthusiast, had started work in the toolroom at John Thompson Motor Pressings rising to the position of Toolroom Superintendent before retiring in 1969. 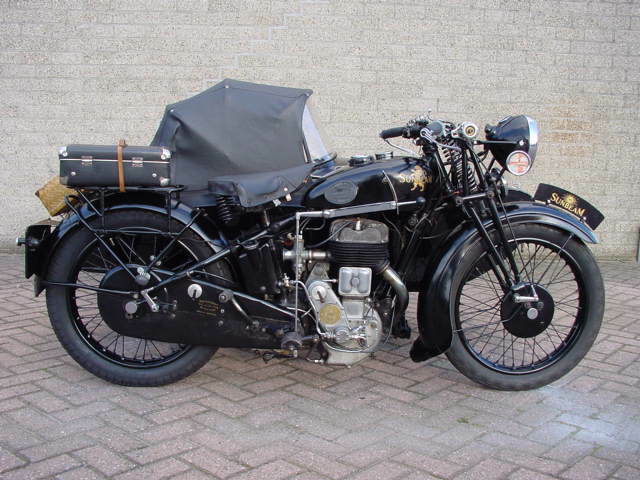 During his career he had worked on Sir Malcolm Campbell and John Cobbs land speed record cars and developed an interest in his home towns engineering achievements, particularly its motorcycles. 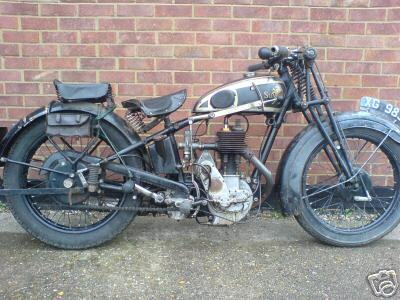 1929 Sunbeam 9, 500cc Twin port engine, crankcase supported by 3 ball bearings, dry-sump lubrication, primary drive enclosed in cast alloy chaincase, 3-speed 'cross-over' drive gearbox, offside power take-off. 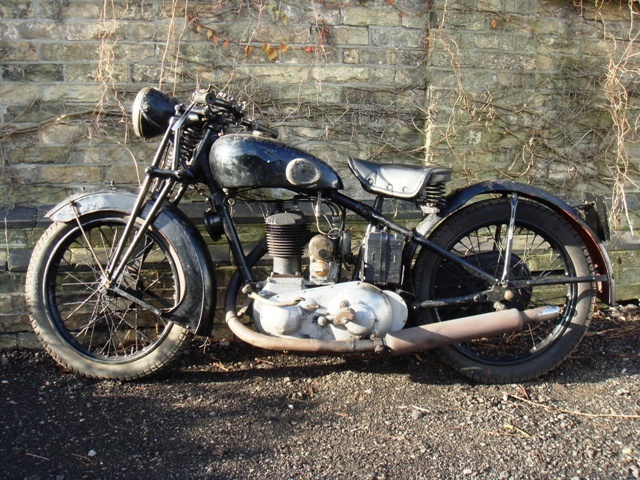 1929 Sunbeam TT80 Vintage saddle tank, 350cc single. 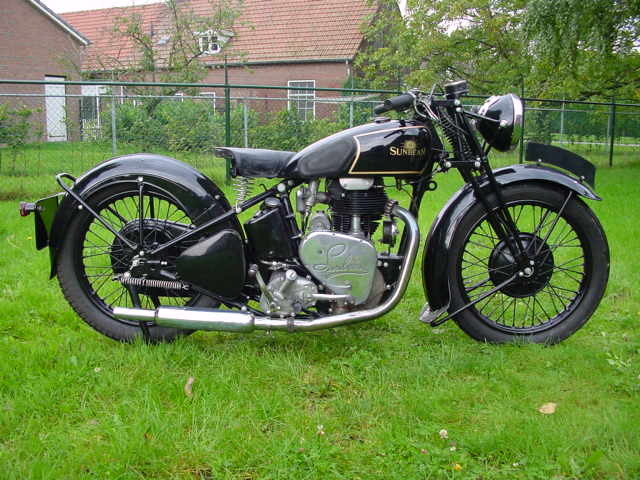 1930 Sunbeam Lion Combination, 599cc This model originated in the early 1920s as the venerable model 7 sidecar puller with bore and stroke dimensions of 85x105.5 mm. 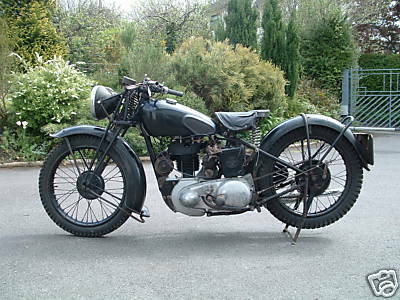 The engine has much pulling power at low revs, and the excellent Sunbeam workmanship can be seen in many details. The machine has a 4 speed hand change gearbox, the rear chain is fully enclosed. The tank top has an internally illuminated instrument panel with oil pressure gauge and provision for A clock. The cylinder head is a detachable non detonating design, the wheels are interchangeable. 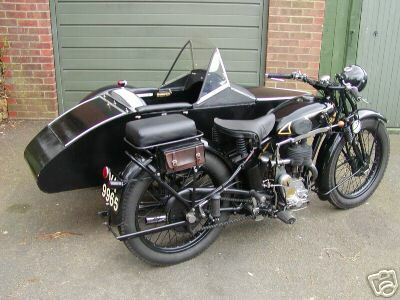 This machine is fitted with a luxurious sidecar with windscreen and hood. 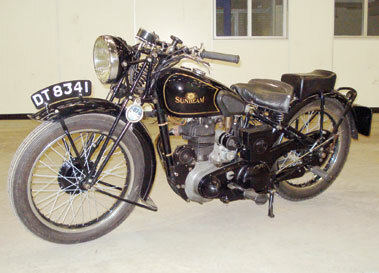 Sunbeam introduced the Model 14 during 1933. 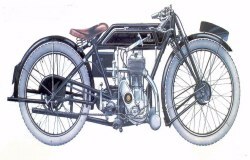 The new machine featured a long stroke engine displacing 246cc which was essentially a Model 8 350cc engine with a reduced bore. 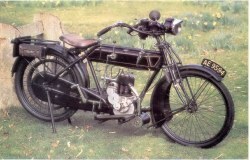 The cycle parts were much as those employed by the Model 8 although some lighter components were employed in an attempt to reduce the models overall weight. 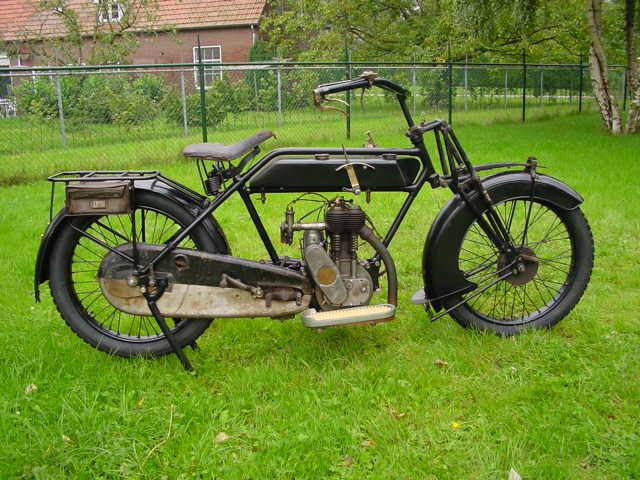 Transmission - Primary chain in oilbath to 4-speed footchange gearbox with cross-over drive to rear chain. Frame - Rigid diamond pattern. Saddle tank with snap action filler cap. Wheels - 3.00 x 21" front tyre and 3.25 x 20" rear. Cable operated brakes. Rear brake pedal on left with reverse action. 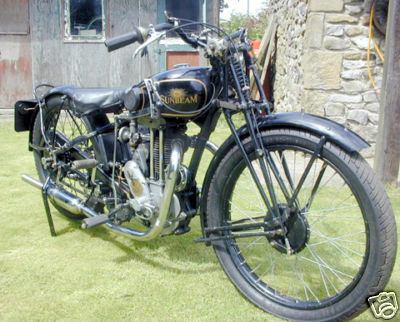 1937 Sunbeam Model 8 model 8 series 2 ohv 350cc made for one year, 1937. 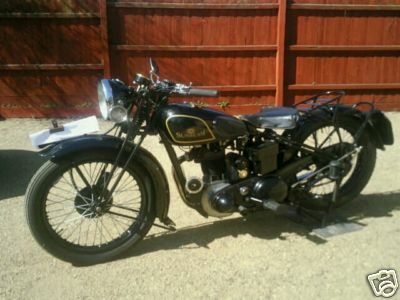 1937 Sunbeam Model 9 500cc, OHV. 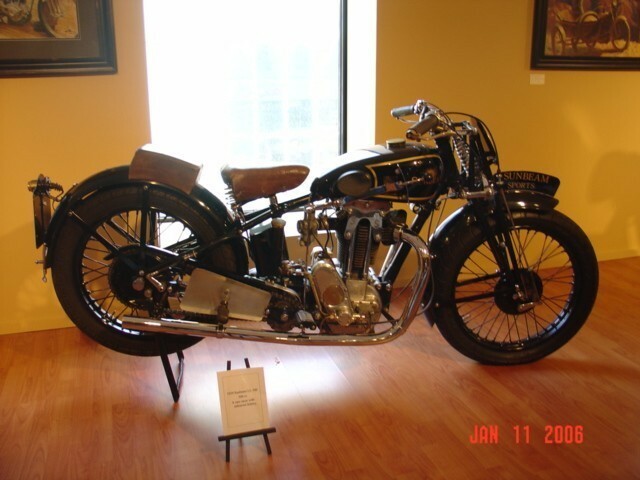 1938 Sunbeam M8, 350cc The first OHV production Sunbeams were listed as the model 8 (350cc) and 9 (500cc) in 1924. 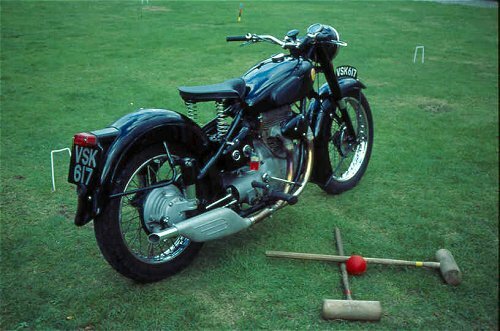 The model 8 with bore/stroke dimensions of 70x90 mm was an excellent sporty tourer, but stayed somewhat in the shadow of its more glamorous big brother. 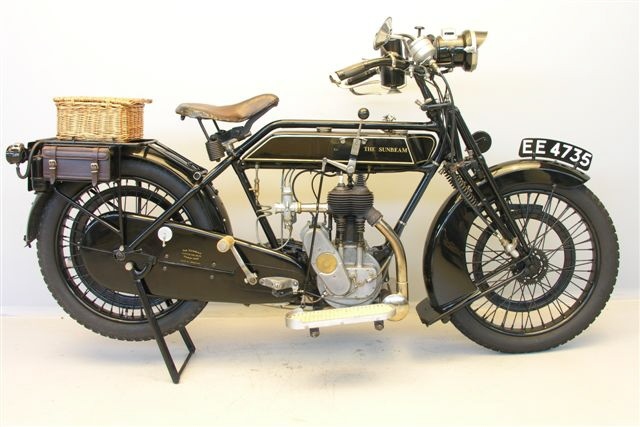 In the course of the years the models 8&9 were kept up to date; saddle tanks were introduced for the 1929 season and the lubrication system was modernised. 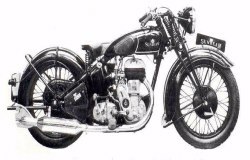 In the mid-thirties parent company ICI (Imperial Chemical Industries) decided to dispose of the hardly profitable cycle and motorcycle side. 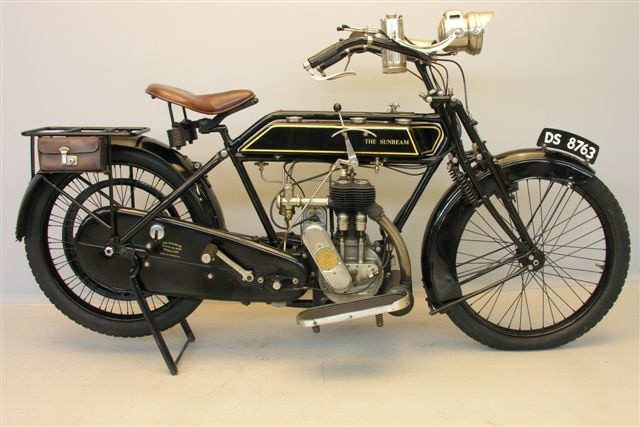 AMC bought the business in 1937: their main interests being the bicycle dealer network and the well-establish famous Sunbeam name. Production moved from Wolverhampton to Plumstead. That's to say, there was so much stock that it was enough to sustain production in London for more than a year. 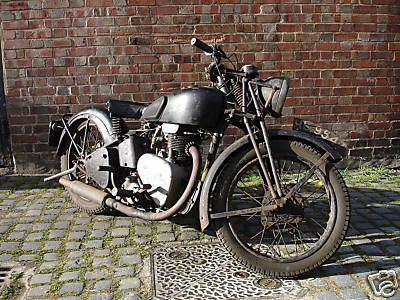 By 1940 Sunbeams were no longer produced. 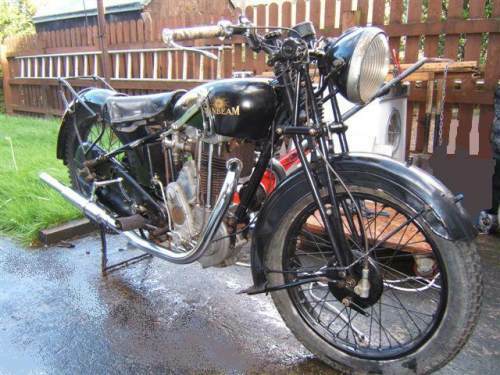 1939 Sunbeam B23 477th of a total of 650 manufactured. 1939 Sunbeam High Cam - B28 The High Cam Sunbeam was only made in 1939 when AMC took over the Sunbeam company. The High Cam was built using several engine capacities of 250, 350, 500 and 600ccs. 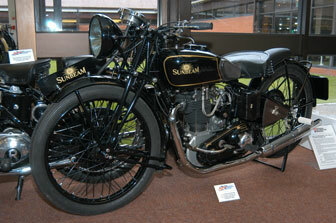 This Sunbeam is a B25 500cc engine of 82.5mm bore and 93mm stroke. The new high-camshaft range was inrtoduced in 1939, but the outbreak of was soon afterwards meant that only small numbers of them were produced. 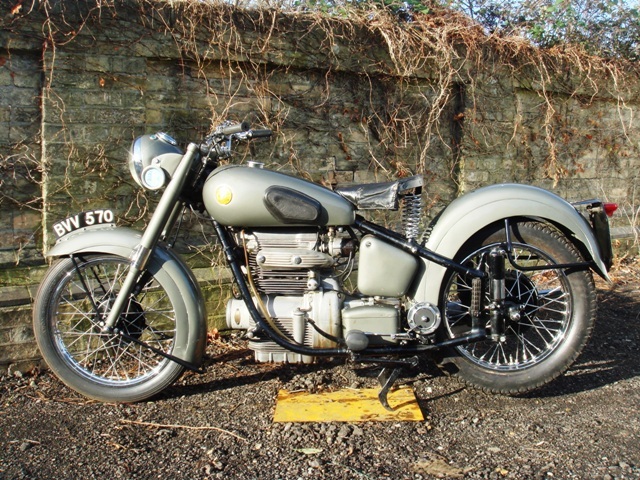 This is one of the rarest, the 350cc Sports model with higher specification forks, high level exhaust and polished engine internals.